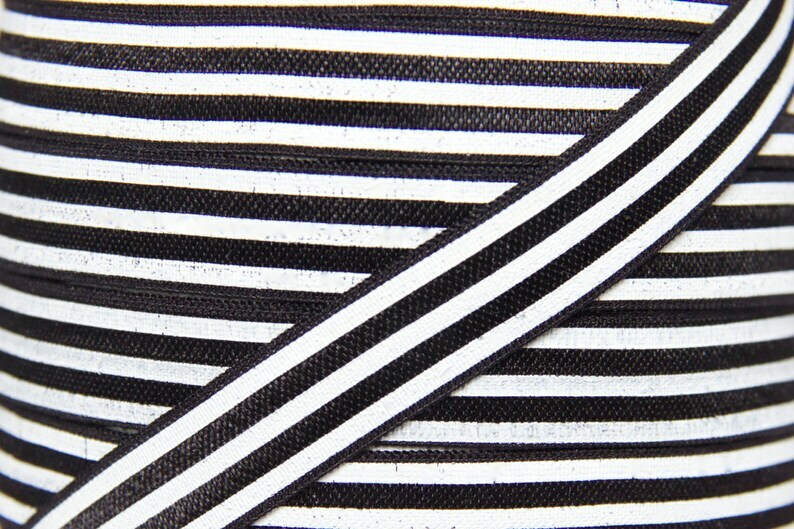 This listing is for 5 yards of soft and stretchy fold over elastic (FOE) in Black and White Stripe Print. The elastic is shiny on one side and matte on the other. Perfect for DIY headbands, hair ties and other accessories. Black white stripe FOE, just as pictured. Love it! Misunderstood what was being sold in the picture. Not what I needed being that it's way too thin width wise. However, good quality.